Lung Cancer awareness: Are you aware of these 5 subtle symptoms? In recent years cases of lung cancer have been declining among men but the disease is increasing among women. Lung cancer remains one of the most common cancers affecting both men and women in Ireland. The majority of people who get lung cancer are over the age of 50. Nine out of every 10 lung cancer cases are due to smoking but one in 10 people who get lung cancer have never smoked. Exposure to certain substances such as radon gas and asbestos increase lung cancer risk. However, it has been shown that 79% of lung cancer cases are preventable. So, knowing and recognising the symptoms of lung cancer is really important. If you experience any of these symptoms for more than three weeks, book an appointment and speak to your doctor. This is the most common and misleading symptom, as it’s such a general condition that can be often be chalked up to cold or flu. Most of the time, if a cough is accompanied by running nose and sore throat, there’s nothing to worry about – it’s probably a seasonal infection which will disappear in a few days. However, if the cough has been persistent for more than three weeks and is accompanied by blood or rust-coloured mucus, it might be a sign of lung cancer. Breathlessness after working out at the gym or after climbing up few flights of stairs is normal and shortness of breath is also connected to other causes, such as a common cold, chest infections, panic attacks and smoking. 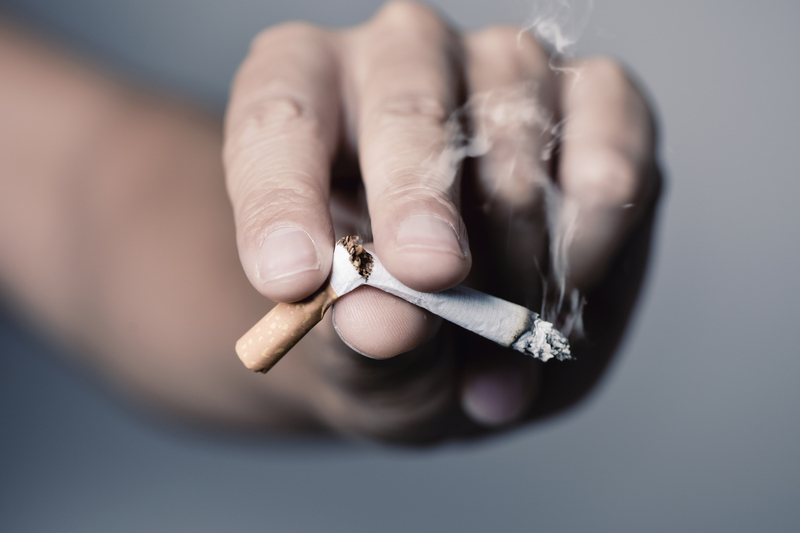 But if you experience regular shortness of breath, especially when there is no obvious reason (like when you’re sitting down and relaxed), then it might be a symptom of lung cancer. Most chest pain, especially if mild and short-lived, shouldn’t be a sign of anything serious. However, in some cases, persistent chest pain may be a sign that your lungs are not working correctly and so might be connected to lung cancer. Unexplained weight loss of 10lbs or more may be the first sign of cancer. Moreover, people with lung cancer may find difficulty in chewing and swallowing as well as nausea or lack of appetite. Cancer cells use a huge amount of the body’s energy supply, so another common symptom that accompanies weight loss is excessive tiredness and fatigue. Abnormal voice chances, such as the voice sounding raspy or breathy, is often due to a disorder related to the vocal cords such as laryngitis. But if it goes on for more than three weeks, get it checked out – it could be a sign you have laryngeal cancer.